A man who raped and murdered a Belfast mother-of-one has lost an appeal against his minimum 22-year sentence. Nigerian national Kristoff Emmanuel Alauya, 24, was jailed in January for the murder of Grace Moore. 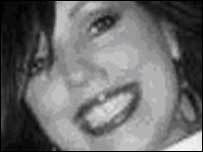 The 38-year-old's body was discovered by her teenage daughter at their home in Suffolk estate in November 2006. On Friday, Appeal Court judges ruled the sentence for the "truly heinous" killing was neither wrong in principle, nor manifestly excessive. Alauya, who lived in County Carlow in the Irish Republic, stabbed, strangled and raped Ms Moore after meeting her in a city centre nightclub. He then ransacked her home, stealing electrical items and cheque books. 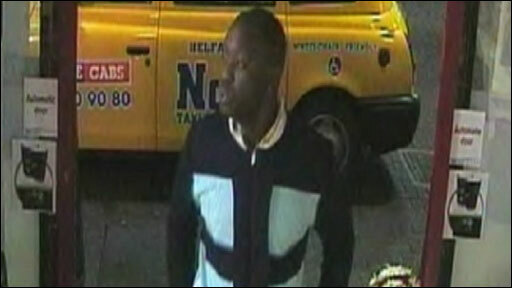 Afterwards, he flagged down a taxi and went to a garage to buy food. Alauya's lawyers accepted the trial judge was entitled to conclude that he had shown no evidence of remorse. However they told the Court of Appeal he should have received more credit for pleading guilty, and that there was no evidence his attack was premeditated. However, Lord Justice Higgins, sitting with Lord Chief Justice Sir Declan Morgan, dismissed the application, saying Ms Moore was vulnerable, alone, and no match for the greater physical strength and dominance of Alauya. "That the assault occurred in the kitchen, with an unopened bottle of wine close by and the deceased's handbag still round her neck and shoulder suggests strongly that she was attacked a very short time after they entered the flat," the judge said. "In this case I would add the cruel manner in which the deceased was left to be found by whomsoever and the callous indifference shown by the applicant in ransacking the flat and removing the electrical items and proceeding to shop for food at a local garage as if nothing had happened." Lord Justice Higgins also pointed to Alauya's history of violence and how he fled the Irish Republic, spurning an opportunity to deal with his drug habit. He added: "This was, as the circumstances outlined demonstrate, a truly heinous offence."